What is the Cape May Graduation Schedule? USCG Cape May Recruit Training Graduations are normally held on Fridays at 11:00 a.m. shortly after a brief from the Commanding Officer held in the Ida Lewis Auditorium at 10:00 a.m. Seating is limited so make sure you arrive early. To avoid conflict with certain Federal Holidays, graduations are sometimes shifted to Thursday. 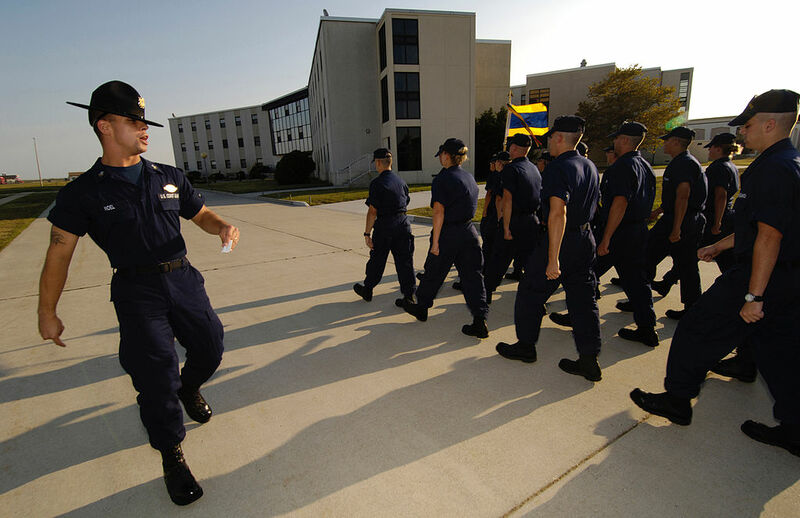 United States Coast Guard Training Center Cape May, N.J. is the nation's only Coast Guard Recruit Training Center. The Training Center is open to the invited family members and guests of the graduating class every Friday starting at 8:15 a.m. Please do not try and come through the gate early as the security guards will make you turn around and reenter at the right time. Government issued photo ID is required to get on base. 5:30 pm Pasta Dinner | Harbor View Club. 08:30 - 10:00 am | Breakfast | Harbor view Club. Uniformed Service Members presenting a graduating certificate must check in at 10:00 in the Ida Lewis Auditorium. All presenters can wear their appropriate service uniform.